“Going Lean” involves never ending efforts to reduce waste that consumes resources without adding value. It’s an enduring process of continuous improvement, ensuring that manufacturers avoid complacency and always produce their best. Common approaches may involve the tracking and synergistic recalibrating of manufacturing processes, quality control, services, pricing, or ethical practices. 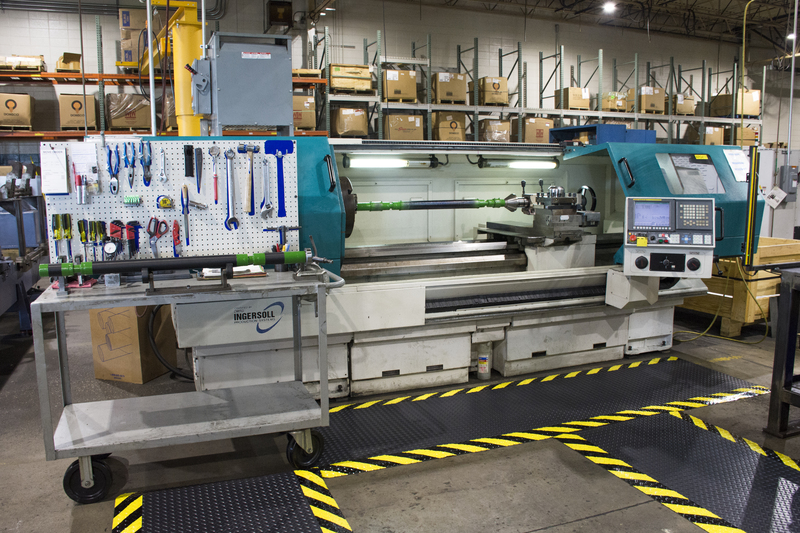 At Allis Roller, lean manufacturing strategies are at the core of our operational model, and we’re ready to roll out the latest tactics for improving workplace safety, productivity, cost-efficacy, and return on investment. This year, Allis Roller is beginning World Class Manufacturing (WCM), an exclusive and globally renowned lean manufacturing program. This integrative system is a massive undertaking, requiring several years of commitment, training, and investment. The entire program incorporates ten pillars, or areas for improvement and development, each designed as a step towards a leaner business model. Allis Roller is specifically embarking on the four pillars of Workplace Safety, Cost-Deployment, Continuous Improvement, and Preventative Maintenance/Workplace Organization. These four pillars represent Allis Roller’s long term goals of implementing best practices wherever possible in all areas of the business. Each of these pillars, when deployed together over time, helps us track and measurably upgrade efficiency, develop leaner processes, improve safety and quality control, and decrease waste. During this program, we will be held accountable by a WCM team that guides and facilitates our success. Not only does the WCM process charge a manufacturer with investing in their equipment, systems, and processes, it requires that we invest in our people too. Part of addressing Workplace Organization, Safety, and Continuous Improvement involves placing quality manufacturing talent where they’re needed most, in order to allocate skills in the most efficient manner possible. Cultivating quality talent requires training, recruitment strategy, and workplace incentives that keep the people at Allis Roller performing as well as our machines. In addition to long-term lean manufacturing programs, Allis Roller is deploying kaizen events to augment our existing lean manufacturing practices and tactics. The preparation, execution, and follow up may take a total of nine weeks, and the result is a sustainable change. One of the major benefits of kaizen events is that they can be used to strategically divide up the transformation of an entire operation into organized, rapidly deployable projects. At Allis Roller, we move from work cell to work cell, upgrading and recalibrating our processes through the execution of kaizen events. Our existing lean manufacturing behaviors that account for inventory, operational organization, and cost-saving manufacturing services all benefit from a series of structured kaizen events. Kaizen events also help grow the confidence, commitment, and engagement of Allis Roller staff by giving them the responsibility for organizing and executing the entire project. Under the guidance of our Continuous Improvement engineer, John Gil, who is a Lean Six Sigma green belt and aspiring black belt, our floor staff serve as kaizen event team leaders. By giving them key roles and responsibilities, we empower individual employees to take ownership of our systems and get creative. Everyone on these cross-functional teams contributes to a productive workplace cultural shift that produces better products and services in the end. For more information on the types of lean manufacturing tactics Allis Roller implementing in the coming year, connect with a lean manufacturing expert via our Contact Page.